Although your experience and education largely define your career and your professional persona, sometimes a certification tucked into your title goes a long way toward being perceived as a leader or expert in your field. There are a few different certifications HR professionals can earn to increase their understanding of best practices, legal requirements, and ethics. Certifications also provide opportunities for you to engage with a professional community that shares your values and goals. While earning certifications for educational and professional networking purposes is commendable, you’ll want to combine a meaningful educational experience with a certification that can boost your career and land you in a nice position to negotiate a raise. It’s a good idea to talk to your mentor or manager about what is well-recognized and valued by your peers and company leaders before dedicating the required hours and dollars. This roundup of HR certifications will provide a starting point for your research and your path to HR superstardom. The Society of Human Resource Management (SHRM) is the largest HR professional society, with more than 200,000 members across the globe. SHRM offers two prestigious certifications for all HR professionals: SHRM Certified Professional (SHRM-CP) and SHRM Senior Certified Professional (SHRM-SCP). SHRM-CP is for entry to mid-level HR staff who perform operational HR services and execute policies. SHRM-SCP is for senior-level HR leaders who work with the C-suite to develop strategies that align with the company's mission and goals. Eligibility to take the exams for either certification depends on the number of years you have worked in the HR field and your education level. For example, you might not have graduated with a human resources degree but could still be qualified to take the SHRM-CP exam if you have worked as an HR professional for at least five years. The exams are four hours in duration and 160 questions each. Each exam requires a one-time payment of $300 for SHRM members ($400 for non-members) and an application fee of $50. Once certified, professionals can either earn 60 professional development credits (PDCs) every three years or retake the certification exam to maintain it. To earn PDCs, professionals can attend conferences and seminars, contribute resources to the advancement of the HR profession, and even take select college courses. Local SHRM chapters offer their members educational meetings that are eligible for credits and a number of companies that serve the HR profession offer webinars for credit at no cost. The HR Certification Institute (HRCI) is another prestigious credentialing organization for the human resources profession. HRCI offers a host of certification options for individuals at different levels of an HR career, including Associate Professional in Human Resources, Professional in Human Resources, Professional in Human Resources - International, Senior Professional in Human Resources and Global Professional in Human Resources. To help you navigate the many options, HRCI created a calculator that will identify the certification(s) you are most eligible for based on your experience. Exam pricing ranges from $300-$495 with an application fee of $100. The number of questions and allotted hours for each exam differ. HRCI offers review lessons and practice exam bundles that will help you successfully earn the certification you’re working toward. Recertifying for any of the HRCI certifications is required every three years. Completing professional development activities, like attending pre-approved programs, or professional achievement activities such as conducting research, are the two recertification categories. You can also receive credits for the PHR and SPHR through SHRM luncheons and sponsored events. If you are a human resources professional in the public sector, the International Public Management Association for Human Resources (IPMA-HR) is another option. With a 100-year history, this association shares valuable industry publications, job listings, a community forum, and certifications with its members. Much like SHRM, it offers two certifications: IPMA-HR Certified Professional (IPMA-CP) and IPMA-HR Senior Certified Professional (IPMA-SCP). Entry to mid-level HR professionals must complete the Public Sector HR Essentials Program offered online to be eligible to take the IPMA-CP exam. For HR executives or directors interested in taking the IPMA-SCP, they have the option of applying online and doing an independent study or completing the Developing Competencies for HR Success course (also offered online). Each exam consists of 85 multiple-choice questions, two hours in which to finish it, and an investment of $350 for members ($400 for non-members), plus an application fee of $100. Certified professionals must accumulate 50 recertification points every three years and complete a Criteria for Recertification Form. The Association accepts all HR-related professional development courses, conferences, and webinars and assigns either one or three points to each program, depending on the number of hours it spans. The Project Management Institute is a worldwide membership association for professionals involved in project and program management. Although the Institute does not offer an HR-specific certification, it does present several certifications HR practitioners could benefit from earning. The most popular certification, Project Management Professional (PMP), shows that you are an experienced manager with the ability to direct key, cross-functional projects and meet both deadlines and budgets. 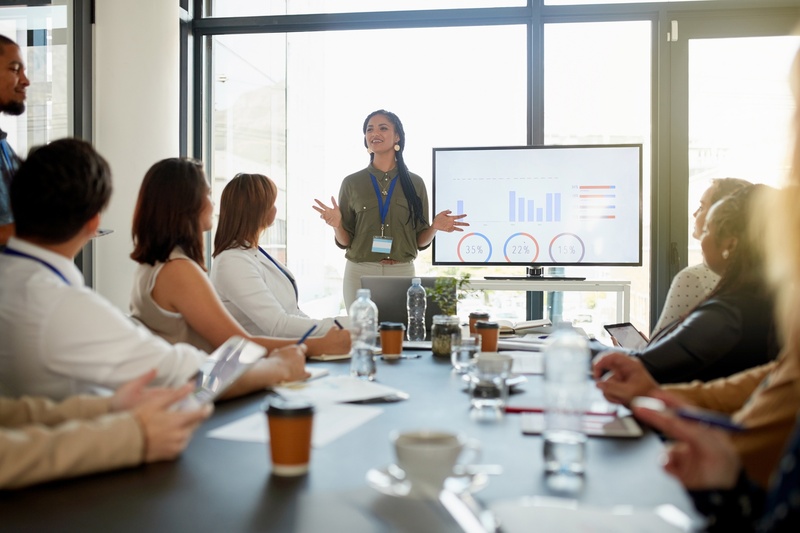 With responsibility for organization-wide projects like employee engagement programs and HR software implementation, HR professionals will find these skills helpful, and the certification could help you stand out from your peers. Like the other certifications, there is a set list of prerequisites you have to fulfill before you can take the exam, including having at least a secondary degree and several thousand hours of leading projects. The exam cost for members of the Institute is $405 and $555 for nonmembers. You have four hours to finish the 200 multiple-choice questions. Certified project management professionals maintain their PMP with 60 professional development units every three years. Points are gathered by attending fully accredited courses, symposia, and seminars. Certification is a sure way to showcase your expertise in the human resources field. While HR certifications require time and money, the benefits of recognition, career advancement opportunities, and a higher salary will likely outweigh the investment.